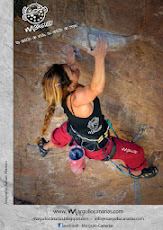 daila ojeda: 9a+ and 9b for Chris in the same day! 9a+ and 9b for Chris in the same day! 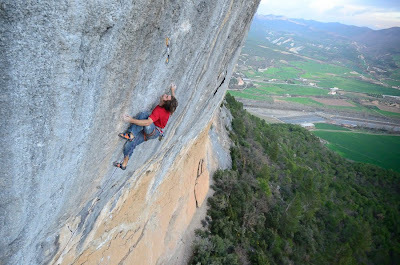 Chris sends in the same day "Chaxi" 9a+ (the second part of "Chaxiraxi" 9b that Adam Ondra climbed recently) and "Fight or Flight" 9b in Oliana. After warming up in his last project bolted in Oliana (nice combination between "Papichulo" and "Pachamama") Chris tried "Chaxiraxi" 9b from the direct start and he fell in the last move of the boulder problem!! ayayai.. it was a really good climbing! After that, he is psyched to trie his old proyect "Fight or flight" 9b and zaaass!! he sent it!! ole! And to finish the day he gave a burn on "Chaxi" 9a+ (just to remember this part of the route) and yes sir! he put it in his pocket! :-) Yes, we can!! hehe.. good job peque! And here I was thinking only Ondra could pull such a rythm... gratz!